Watch out iPhone, the Droids are coming and they're getting stronger. Wednesday Motorola and Verizon added another Droid to their growing army of powerful Android smartphones. 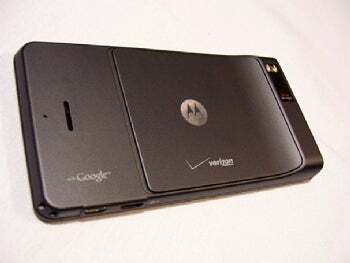 A follow-up to last October's wildly popular Motorola Droid, the Droid X blows every other Droid phone on Verizon out of the water and is a viable threat to both the HTC EVO 4G on Sprint and the iPhone 4 on AT&T. The Droid X will be available from Verizon July 15 for $200 with a two-year contract after a $100 rebate. 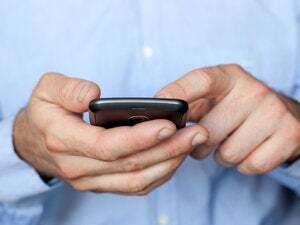 Unlimited data will cost an additional $30 per month. Existing Verizon customers whose contracts will be renewable this year will be able to immediately upgrade to the Droid X at launch with the $200 price. One of this year's worst kept secrets, the rumors surrounding the Droid X's specs were pretty much spot-on. The Droid X has a 4.3-inch, WVGA 854-by-480-resolution display. The Droid is powered by a 1GHz processor and has 8 GB of on-board memory and comes with a 16 GB microSD card in the box. If you need even more storage, the Droid X can support up to 32GB of expandable memory. And, as the blogosphere predicted, the Droid X also sports an 8-megapixel camera and records 720p video. The original Droid had a 5-megapixel camera and its photo quality was disappointingly poor. We'll put the Droid X's camera to the test during our hands-on testing later today. Like the EVO 4G, the Droid X has HDMI-out so you can play HD videos from your phone on your HDTV. There's no hardware keyboard on this Droid, but the software keyboard does support multitouch. This means you can touch two keys simultaneously and the phone will recognize both. This should make for a much smoother, faster typing experience. Additionally, the Droid X comes preloaded with quick-typing software Swype. As for software, the Droid X ships with Android 2.1 (also known as Eclair). The Droid X will get an upgrade to the latest version of Android, 2.2 (Froyo), later this summer. And yes, Flash Player 10.1 will be available for the Droid X with the Froyo upgrade. Using Verizon's network, the Droid X comes with a Wi-Fi hotspot so you can connect up to five wireless devices to it. The Mobile hotspot will cost an additional $20 per month for 2GB of data. Verizon has also expanded its mobile video content in deals with Blockbuster, Redzone, and Skype Mobile. The Blockbuster app will enable users to download feature-length movies directly to their phone. Pricing for this app has not been announced. Check back later for a hands-on look and a full rated review of the Motorola Droid X.